SAD SIGH!! 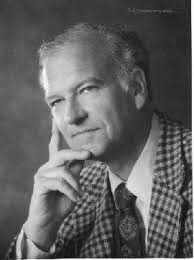 COMING SOON TO DETROIT - 'FIRST ENTHEOGENIC CONFERENCE"
I received this sad news from one of our forum [aka "Comments"] participants: Dr. Stanley Monteith, M.D, a very dear personal friend departed this earth for what I'm sure is a far better place. Dr. Stanley Monteith (an orthopedic surgeon) lived from February 16, 1929 to September 29th, 2014. He did his last radio interview with me on August 29th. That was on his Liberty Broadcasting Network and he promised to reciprocate by coming on my own Saturday morning TMERadio.com program "My Perspective" [TheMicroeffect.Com] Obviously that promised interview is not going to happen. About a year ago I did a detailed long interview of Dr. Monteith on my program and he shared much of his life story with us. I'm going to ask Joe McNeill to search his archives for it. We will all miss Dr. Monteith very much, but we rejoice that God gave us his company for the 85 years he was here. Rest in peace! COMING SOON TO DETROIT: "FIRST ENTHEOGENIC CONFERENCE" ??!! Detroit Entheogenic Conference? And where else? At the Unitarian Church in the heart of the Wayne State University area in Detroit. Now, it appears that this conference, from its advance publicity might be seeking to advance Constitutional rights to use mind-altering substances, such as those Marilyn Ferguson bragged in THE AQUARIAN CONSPIRACY, were "a pass to Xanadu." A friendly word to the "initiated" -- translate XANADU = HELL. That indeed is what they are -- as pass to Hell -- both in the here and in the hereafter! Quoting Terrence McKenna, one of the long time New Agers I have kept files on: "If the words 'life, liberty, and the pursuit of happiness' don't include the right to experiment with your own consciousness, then the Declaration of Independence isn't worth the hemp it was written on." For the uninitiated, all things "entheogenic" relate to the use of mind-altering substances in a religious context. The people really into entheogenic substances argue (convincingly, we may add) that humans have been using psychoactive chemicals in rituals for many thousands of years, and that they aid in raising consciousness, transcendental meditation, and vision quests, giving a booster shot to man's search for meaning. That's certainly what will be up for discussion at this year's inaugural Detroit Entheogenic Conference. There are several such events across the country every year, where presenters discuss such substances as ibogaine, peyote, psilocybin mushrooms, and ayahuasca, and their use for everything from a trip to cloud nine to treating alcoholism. You get the sense that people into this sort of stuff fancy themselves descendants of the ancient apothecary or shaman, the spiritual doctor who uses the magic of the herbal world to heal the body and the mind. And they wouldn't probably be far from the truth. . . ."
All things altered-state are the modus operandi and substance of the New Age Movement. 1960's Harvard Professor turned New Age LSD advocate Timothy Leary infamously passed LSD out as a "sacrament." Many USA theological students went along with his game. the intense alternative reality generated by a psychedelic drug. fuzzy but many times more intense than normal waking consciousness. Sadly, one cannot help but wonder how many of Detroit's present woes were caused by the 1968 and beyond New Age drug related "pass to Xanadu"? The last thing we need as our region recovers is "more of the same"! Ferguson, Marilyn. THE AQUARIAN CONSPIRACY, Tarcher Press, 1980, page 89.
consciousness, then the Declaration of Independence isn't worth the hemp it was written on. 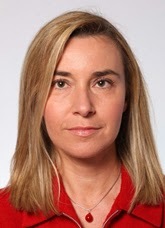 Federica Mogherini - New European Union "High Representative for the CFSP"
UPDATE: I'm learning more about Ms. Mogherini and some of it I"ll freely confess that I like. She was recruited into Prime Minister Renzi's government after she posted a "sharp-tongued" tweet about him. Rather than being threatened, he made her part of his government. That Renzi was able to take constructive criticism says something for him. Next and very big to me were the steps she took to help rescue a Christian -- Mariam Ibrahim -- under persecution -- a death sentence for her Christianity in the Sudan. As Foreign Ministser of Italy, Ms. Mogherini worked for her release. I am touched by the picture of her holding Ms. Ibrahim's young son, one of two born while she was held in cruel confinement for her Christianity. The European Union has named a new face to replace Catherine Ashton for the job originally created by and for Javier Solana. Her name is Federica Mogherin: High Representative for the Common Foreign and Security Policy. She is a relatively young woman (41), well schooled in political science and political experience. Her experience appears to come from the far left wing of politics. She was formerly a member of Italy's Italian Communist Youth Federation. The Wikipedia reference can be accessed by clicking here. Unlike Catherine Ashton who came inexperienced to the job, Ms. Mogherini has served for the past 7 months as Italy's Foreign Minister. A member of the Italian Communist Youth Federation from 1988, in 1996 she joined the Youth Left after the dissolution of the Italian Communist Party and its transformation into a social-democratic party. In 2001 she joined the National Council of the Democrats of the Left (DS), and then in the National Executive Board and the Political Committee. In 2003 she started working at the DS's Foreign Affairs Department, where she was given responsibility for relations with international movements and parties, and later became the coordinator of the Department; finally, she was given responsibility for Foreign Affairs and International Relations in the staff of Piero Fassino, the party chairman. During this time, she took care of matters relating to Iraq, Afghanistan, and the peace process in Middle East. She maintained relations with the Party of European Socialists, the Socialist International, and their member parties.Moreover, she was in charge of relations with the USDemocratic Party. She looks like an intriguing new figure on the international scene. This should be interesting to watch.